Its not quite time to come out from hiding and check how our roofs and gutters etc have fared during the winter yet. There is still a pretty persistent chill in the air, and that wind and rain is gone one minute and back the next! This year has seen some of the most severe storms for a long time, especially in some parts of the UK, the result of us catching the tail end of a number of hurricanes and cyclones. Your home can suffer from excessive weather conditions, especially where there are weak points such as vulnerable joints or old or inferior fittings. Windows and doors should be snug and functional, preventing cold air and draughts from entering. Every part of your roof is exposed to whatever the British climate chooses to throw at it so it is important to make sure it is strong and sound. You will often be able to see if there is a problem with your roof, guttering, downpipes, fascias and soffits, but sometimes developing or established problems are not all that obvious. Closer inspection either from inside via an attic or outside by a professional could reveal worrying issues. Any displaced or dislodged tiles may allow water to get into the felt, and should be repaired or replaced as quickly as possible. If guttering, fascias or soffits are damaged, they will probably not be performing properly or protecting your home from the elements as they should. Inspect the inside of the home for tell tale signs of leaks, such as on ceilings and walls. Water infiltration will show up as peeling or bubbling paint, stains and patches of damp. Wooden soffits and fascias sometimes need replacing due to rotting or deterioration, and popular alternatives are the UPVC equivalents. Get your roof, gutters, soffits and fascias inspected at least twice a year and particularly after a period of rough weather. 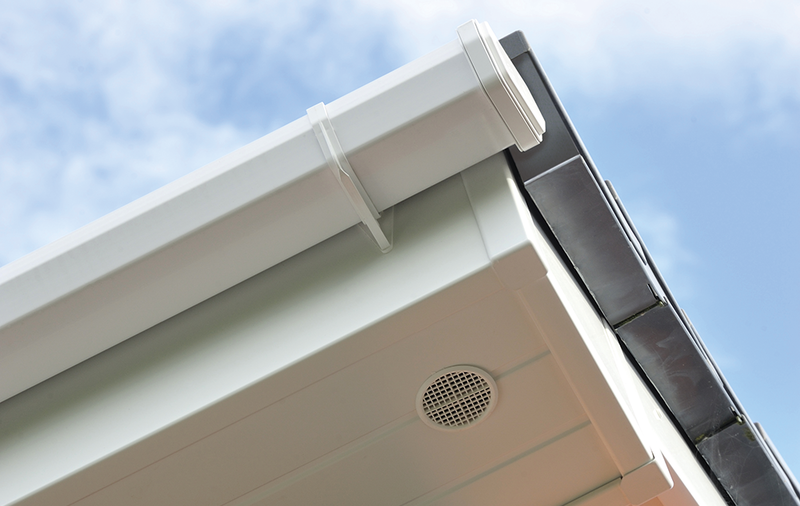 Chelmsford Roofline Ltd offer professional installation of high quality UPVC fascias, soffits, guttering and downpipes. Attractive and functional these products will enhance your home while keeping it dry and protected. You can expect no nasty shocks after the colder, wetter months. This entry was posted in Uncategorized on January 26, 2016 by AlliedBuild_admin. Get a Lighter Carbon Footprint! The push to decrease carbon emissions within our environment has been a sustained one, yet has not always been straight forward. With new build homes the task is somewhat easier, as green design and technology can be implemented from the outset. However, refurbishing older properties can become a bit of a nightmare and presents a challenge to the most experienced of building contractors. Housing stock in the UK is some of the least efficient in Europe, being the source of almost a quarter of the UK’s annual carbon emissions. Government schemes have included the Green Deal, Renewable Heat Incentive and Feed-In Tariffs, with some being more successful than others. Living a more green lifestyle is to everybody’s benefit, with regards cost, savings, comfort and the environment. There is lots of helpful information for householders wishing to improve their energy efficiency on the Energy Saving Trust website. There are several ways that people can boost their home’s energy efficiency at the same time as saving money on fuel bills. Solar panels consisting of PV cells, are usually fitted to the roof of a property, and draw energy from the sun to create electricity. With this system you could also receive payments depending on the amount of generated energy. You can take advantage of Air Source Heat Pump [ASHP] technology to heat your home and provide hot water or underfloor heating. Even when outside temperatures are low these pumps will produce renewable heat, keeping your heating bills down. Most of these ASHP systems are also eligible for the governments Renewable Heat Incentive scheme, giving extra income as well as savings. If you feel you are outgrowing your home and needing a little more space, there are a few things you could consider before rushing out to the estate agents! 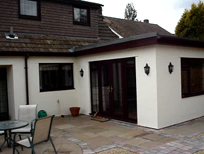 Have you ever thought about extending, converting or redesigning your home? You may have already dismissed these options, but it may be wise to consult a professional first. There could be scope where things seemed impossible, and by using clever design alternatives, living space solutions can be created. Perhaps you only have a vague idea of your ultimate design objective, which is where a qualified builder can help. There are often choices you might not have thought of, like a simple repositioning of permanent fixtures in a kitchen or bathroom. 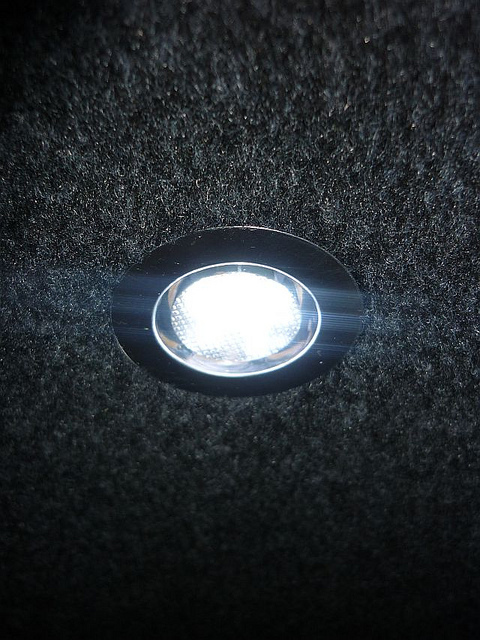 These could open up the room completely and transform your home, giving it enhanced functionality. Rewiring the electrics etc will ensure great performance too. It may be possible to convert a garage or loft, providing another valuable bedroom, playroom, office or storage space. A Granny flat is a popular garage conversion, enabling an elderly relative to feel safe and protected while retaining some of their independence. If a grown up son or daughter is returning after a degree course, there may be less space, making a loft conversion an excellent way to go. New businesses frequently start up in a small way, and use of an office/stock room within the home is perfect while getting on your feet. [Just check you are paying the correct tax rate if running a business from home]. As building specialists, the team at Allied Build, will get together with you to look at your project, assess your needs, and make recommendations. We can project manage the work where desired, and are aware of current building regs etc. We are also able to liaise on your behalf with your local council regarding planning permission. Heating and air conditioning systems are a major aspect in the comfort and performance of any property, and experts in all areas of air conditioning Turn Key Air Conditioning Ltd, specialise in design and installation for customers, including many large hotels. They have developed an impressive method of offsite manufacture, giving exceptional levels of convenience with minimum disruption. This entry was posted in Uncategorized on January 2, 2016 by AlliedBuild_admin.